Oh. My. God. “Failure Model Chick” Was on Intervention!!!!!!! Ok, I don’t want to oversell this, but today is the best day of my life. 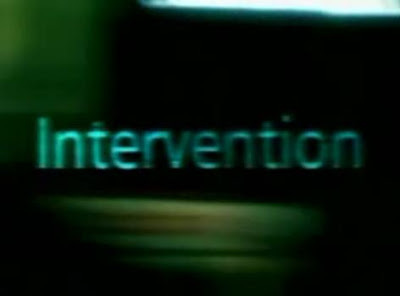 An IBBB reader tipped me off that my favorite Harriet Carter model, “Failure Model Chick,” was actually in an episode of one of my favorite shows, Intervention. At first I didn’t believe it, but then I found the actual clips from the episode and low (class) and behold there. she. was. What a delight! Apparently this dude, Peter, was addicted to video games and his best friend Rachel (Failure Model Chick) was trying to save his life. Seriously she’s like VISA….she’s everywhere. 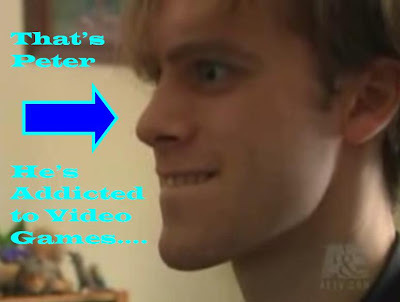 According the person who tipped me off, allegedly, FMC got this dudes family together to convince them he was addicted to video games, just so she could get a few moments on national television. What? The Harriet Carter catalog isn’t national enough!? The person who tipped me off claims that she is crazy and manipulative and they have a restraining order against her. Seriously, I love FMC! Let me tell you, if FMC shows up in an episode of The Hills I’m shutting this blog down! Long live Failure Model Chick!